I remember, back in the mid-’70s, picking up a secondhand copy of Grand Funk’s Shinin’ On. It wasn’t a very good album—I think it included the band’s hit remake of “Locomotion”, which I still can’t stand—but it had a 3-D cover, and when you viewed it through those little blue-and-red glasses, the effect was pretty cool. The music even sounded a little better, somehow, when you were gawking at that nifty cover. 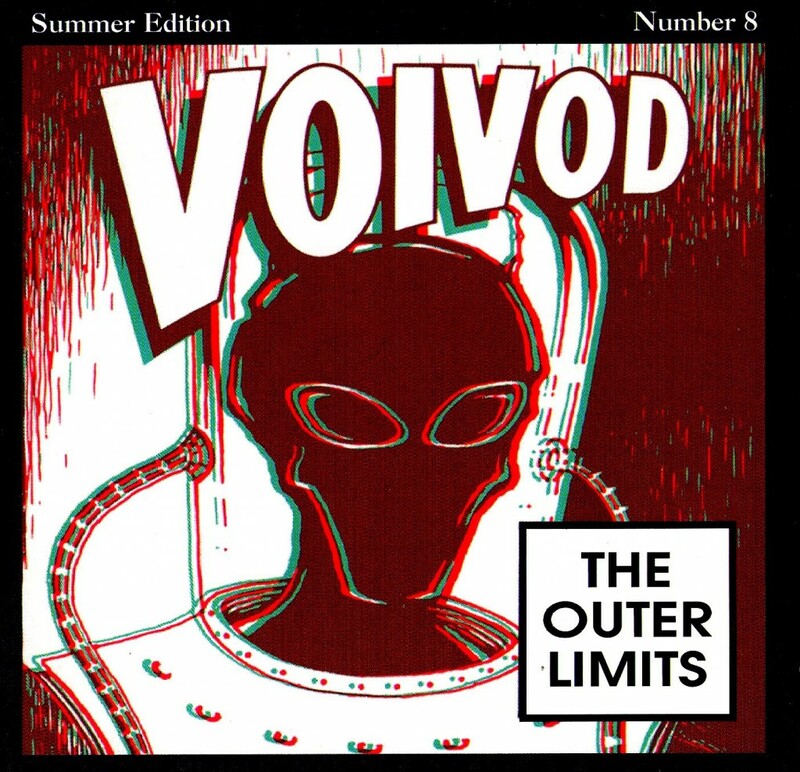 Going on 20 years later, and I’m still getting a kick out of 3-D cover art, thanks to The Outer Limits, the latest release by Québécois rockers Voivod. 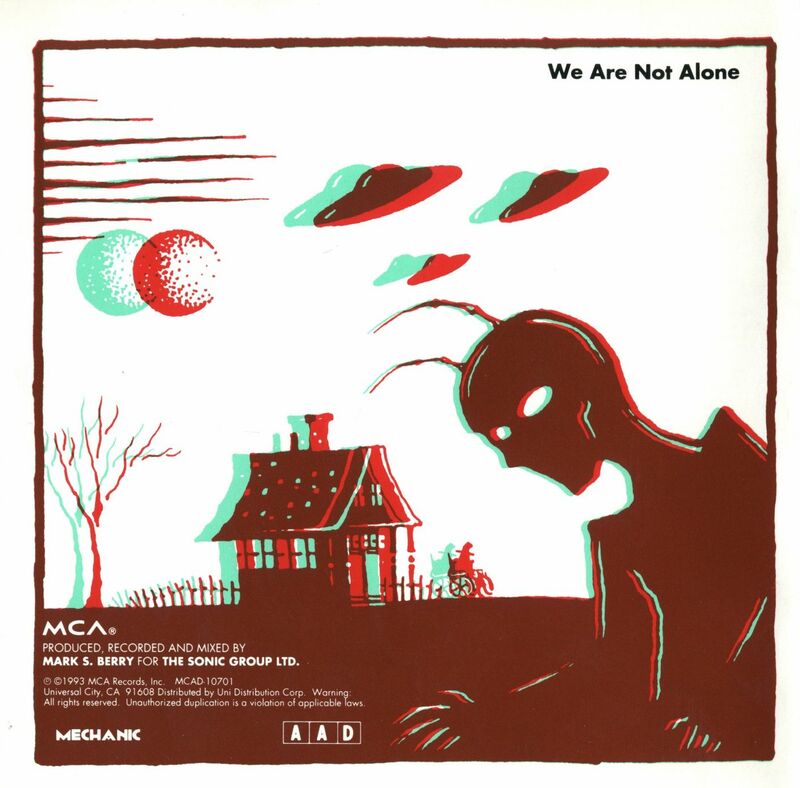 Ten drawings by drummer Michel Langevin have been given the 3-D treatment, all of them depicting aliens, robots, and strange, otherworldly scenes. The band has been heavily influenced by Vancouver author William Gibson’s cyberpunk novel, Neuromancer, James Gleick’s Chaos: Making a New Science, old flying-saucer films, and sci-fi pulp magazines. The focal point of The Outer Limits is the 17 1/2-minute “Jack Luminous”, a tale about a U.S. president who is digitally created from bytes and pieces of computer animation. He is the consummate political puppet, impossible to destroy, until a radical hacker introduces a virus into the system. But high tech and sci-fi aren’t the only lyrical sources that Voivod taps to create its ambitious brand of progressive cyber-rock. “Le Pont Noir (The Black Bridge)” is actually based on a folktale told by lumberjacks in Quebec. Voivod gets the majority of its song ideas from the dream-fuelled imagination of drummer Langevin, and with those far-out concepts has been challenging the capacities of prog-rock lovers for more than 10 years now. But it hasn’t been easy to get the mainstream audience to swallow the group’s atypical rock ’n’ roll pill. “I think people are more ready now for our stuff,” says Belanger, “ ’cause we’ve been told that we were 10 years [ahead of our time], and it’s been 10 years, so here we are now. 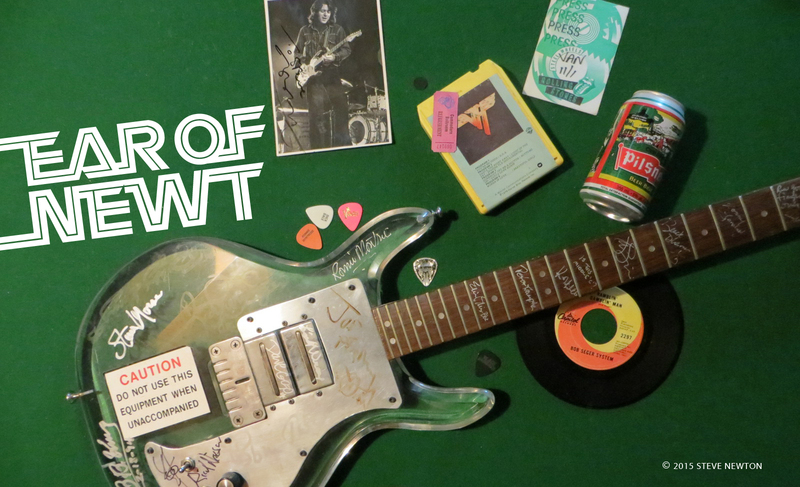 And I think the Seattle scene, bands like Nirvana, really opened doors. People are more open-minded and ready to listen to some other stuff than what they usually hear.